The Paint on your home is one of the most influential factors when it comes to the overall look and feel of the property. Looking for the right painter can be an overwhelming task. Finding someone you can trust with your project and on your property can also be difficult. The skilled, experienced and trusted painters at Gancarz Painting provide a professional level of detail to be sure your new paint job lasts and looks as great as it should. Interior painting is one of the best ways transform a space, while also increasing property appeal! We can provide you with a simple color consultation to help you decide what your looking for and pick the best color combination or design for each room/area. Any color you choose, we can match perfectly! We also provide custom finishes, super tough epoxy coatings and basement waterproof/mildew resistant coatings. ​Our efficient dust extractor systems leave your home virtually dust free while preventing clogging of sandpaper in order to eliminate gouging and swirl marks in the surface being painted. 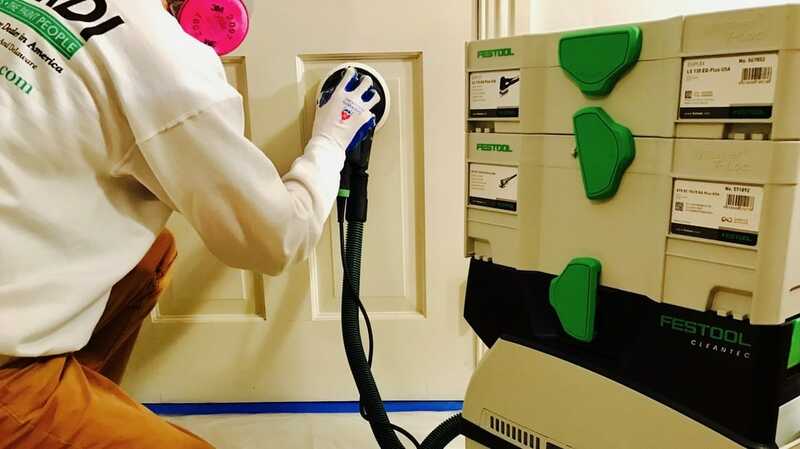 HEPA certified dust extractors eliminate ultra fine dust particles which can linger in the atmosphere of your home for days or even weeks after heavy duty sanding. Zero/Low Voc paints are used indoors and we also paint other interior pieces such as kitchen cabinets! Just give us a call to set up an estimate date and receive a custom quote for your specific project. Many people delay painting the exterior of their home or business. Putting off the job can lead to larger issues such as rotting, cracking, and flaking due to the materials of the building being exposed to the elements, bugs and other forces of nature. These problems can end up being more costly down the road. 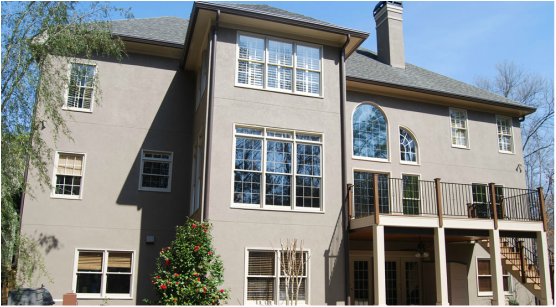 We provide professional quality staining, sealing and painting of all types of exterior surfaces including concrete, stucco, wood, vinyl and aluminum. We use specialty sealers/stains and elastomeric, alkyd or acrylic paints/primers to not only give the property curb appeal, but also stand up to mother nature.